Since joining the distributed ledger consortium R3 in 2016, Toyota has been quiet about its strategy for blockchain tech – but if its presence at CoinDesk’s Consensus 2017 conference is any indication, that could soon change. 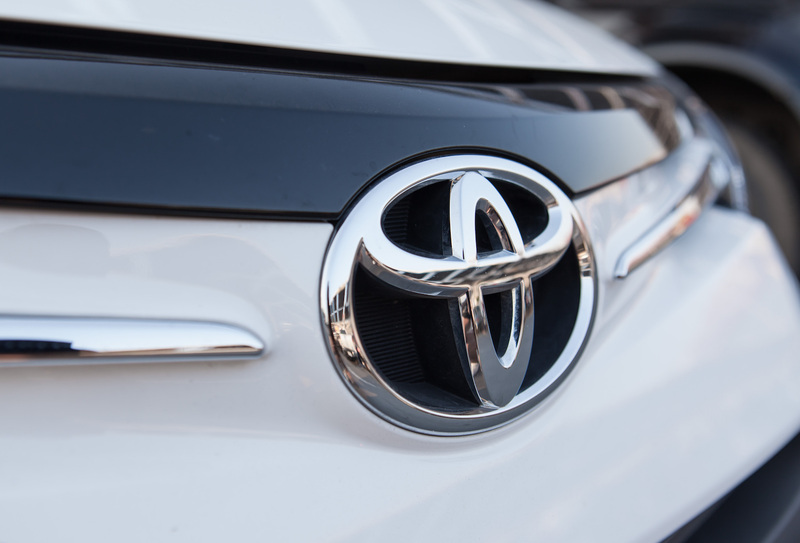 Announced yesterday exclusively at the conference, Toyota Research Institute (TRI) unveiled a three-pronged strategy that shows it believes blockchains will reshape interactions in the automotive supply chain. The big reveal is bolstered by new details on months of behind-the-scenes work with partners including MIT Media Lab, BigchainDB, Commuterz, Gem and Oaken Innovations, all of whom are working with TRI on specific blockchain tech applications. But going back further, though, Chris Ballinger, director of mobility services and chief financial officer at TRI, traces it all back to an “a-ha moment” that opened up his mind to the potential power of the technology and its possible applications for Toyota. “Everybody’s journey has this common feature, they hear about it, they say how stupid, and then they meet someone who they respect and is smart and say maybe there’s something more to this, and that they learn more,” Ballinger said in a new interview. Still, with a background as a monetary economist, Ballinger admits to being a bit predisposed to the idea that even the world’s brightest minds can’t quite offer a definition for money, why it functions and how the system of economics we have today came to be. Starting from the realization that bitcoin could eliminate financial middlemen, Ballinger said he became interested in exploring the idea of applying blockchain to new concepts. “The realization was the value was linked with the transaction, and this means that the transaction itself is a bearer instrument. And therefore all these problems tend to fall away, and it’s all the other middlemen,” he continued. Still, while he’s come to a similar insight as many startups and enterprises, Ballinger detailed a unique philosophy for applying it to the mobility sector – the word chosen not to limit the idea to personal vehicles, but encompassing many forms of mobilized transportation. Elsewhere, Ballinger discussed his frustrations with the existing state of the blockchain industry, and what he described as an environment where real progress is often undermined by companies seeking publicity. “It’s fairly easy to put an asset on a blockchain. But, people put out a press announcement that they’ve put greeting cards on a blockchain – so what?” he remarked. Rather, he voiced his belief that what will make blockchain work at scale is a collection of companies all supporting the network, a development he termed a “minimum viable ecosystem” – a homage to the “minimal viable product” philosophy. “The whole point of platform economics is that the network effect matters. The type of asset on the chain doesn’t matter. More and more, the focus needs to turn to creating an ecosystem, and so I began to think about what does that mean for our industry, how do you create that work in an industry,” he said. In this way, Ballinger said TRI’s big presence at Consensus 2017 was to showcase its work, create buzz and bring more attention to what it said were its lesser publicized applications. Ballinger also put forward a vision suggesting a core belief: that the world’s existing automotive fleets are an underutilized asset. Blockchain technology, he said, opens up the idea for the sharing economy to extend to new networks, potentially creating opportunities for automobile owners – and for Toyota as a company – to rethink how it derives value. “The vehicles and the entire mobility infrastructure can be used more efficiently. It’s hard to monetize your car. The empty seat in a car, it’s pretty hard, the frictional information costs of doing that are prohibitive,” he said. In this way, he sees the broad economic benefits a car enables being broken off and split into distinct markets. Ballinger pointed to potential marketplaces for automotive data, with payments sent for the display of advertising or even to jump ahead of someone in traffic. For now, however, he said the message from TRI is more modest.